Mom Talk Radio is proud to feature some of America’s most popular authors, parenting experts and celebrity parents. Christine Bronstein – Stewie BOOM! Dr. Jennifer Freed – AHA! Bill Byrne – How Long Does It Take to Catch a Fish? Christy Zigler – Can’t-Wait Willow! Michele Howe – co-author of Burdens Do a Body Good: Meeting Life’s Challenges with Strength (and Soul). Leslie Bonci – What’s In Your Pantry? Jill Saunders – Huggable Heroes program. Melissa Halas-Liang, founder of SuperKids Nutrition Inc.
Ivy Hall and Britney Vickery, founders of Initials, Inc.
Kathi Burns, Founder of Add Space to Your Life! Molly Gold, founder of Go Mom, Inc.
Kathryn Cloward, Creator /Author of Kathryn the Grape – Just Like Magic! Bethany and Scott Palmer, authors of FIRST COMES LOVE THEN COMES MONEY: A Couple’s Guide to Financial Communication. Jocelyn Chia, CEO of Moms Love It, Inc.
David Pollack, author of Just STOP The LIES! Sabrina Pardue, founder of Go Cocktails! 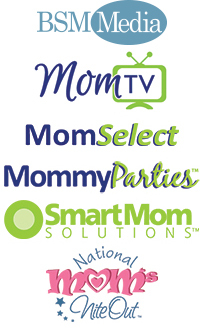 Mom Talk Radio is always looking for informative guests who will engage, entertain and educate mothers. If you have a guest you’d like to hear on Mom Talk Radio, please contact Laura Motsett. © Mom Talk Radio. All rights reserved.